After much prayer, God led Bill in a different direction. The thought was, "Instead of trying to curtail this tremendous enthusiasm pilots have for flying, let's take the enthusiasm and use it in the Lord's work." It was a new concept! Airplanes had been used in missionary work for some time, but usually as only a means to reach areas without adequate transportation systems or to enable missionaries to cover more territory. So Bill designed a logo and a set of wings, mapped out a plan and prayed for guidance. He then mailed out 4,000 invitations to pilots in the state of Pennsylvania to join "Pilots For Christ." The results of this invitation were very disappointing. So he took out an ad in a flying publication with national circulation, continued to pray, and things began to happen. "Pilots For Christ" was then born in January, 1985. Bill prayed that God would send 100 members the first year. On December 31, 1985, he received a membership application in the mail from a new member in New York. That person was member number 200! The Lord had exactly doubled his prayer request! But the Lord had only just started. "Pilots For Christ" has continued to grow, and its present membership now includes people from all over the world. "Our Lord's Air force" is doing more and more of His work with no end in sight. This is very interesting when you consider whom God chose to manifest Himself in charity. Irene and her friends were upstanding members of the community and loyal supporters. Joe was an unrepentant sinner, an alcoholic and seducer of young girls yet it was Joe, not the bishop, the priest or the mayor whom God used to manifest his majesty and love. What does this prove? God is everywhere, especially where you least expect Him. He will use whom He chooses to do his work. We should be humbled by this thought, less inclined to judge and willing to reach out to all of God's children no matter who they may be. Peter J. Rommel, 80, of Warren, died Friday morning May 25, 2018, at Caprice Health Care in North Lima, following complications from diabetes. He was born April 11, 1938 in Brooklyn, New York, the son of Joseph and Miriam (Frohnhoeffer) Rommel. 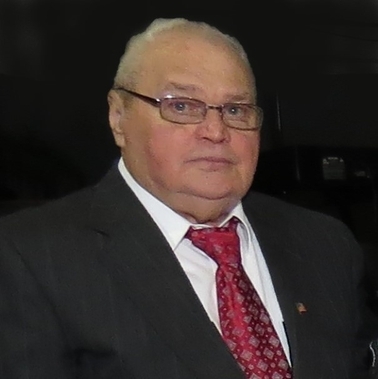 Peter was the founder of Rommel Electric Inc. in 1972 and had been a 40 year member of the I.B.E.W Local 573. Throughout his life, he had owned various businesses including new home construction and rental properties. He was an active member of Christian Life Church in Canfield, Ohio. He loved to fly and held a private pilot’s license including his instrument rating. He founded the local Northeast Ohio Chapter of Pilot’s for Christ and was the international president for several years. P.C.I. flew “missions of mercy” transporting individuals with severe health issues for medical treatments and surgery. He was also a Coast Guard Auxiliary member and had served on the board of the Warren Family Mission. Besides his wife, the former Frances Miceli, whom he married January 7, 1961, he leaves his daughter, Jacquelyn (Larry) Tura; two granddaughters, Lauren (Scott) Tenney and Lindsay Tura and his two great-grandchildren, Audrianna Tura and Conner Tenney. Besides his parents, he was preceded in death by his sister, Audrey Rommel.